I'm really happy how grungy and fun this one turned out! 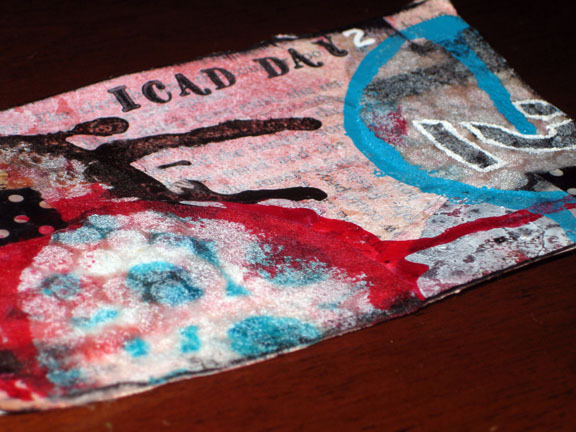 I'm really enjoying doing icad#2! Especially because it is such a small size to be working with. It's a lot easier for me to get one of these cards done from start to finish while my son is napping. 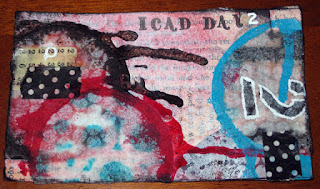 And, I was able to make another video of me creating this card. You can watch it here! Thanks so much for visiting and be sure to visit Tammy's site, Daisy Yellow, to learn all about icad#2 and be sure to join in on all of the fun! I love the inspiration and grudge feel to this also. Great color choices too. This is a really great, fun card! I wish I had it in me to make something like this, but I don't think it would ever happen.